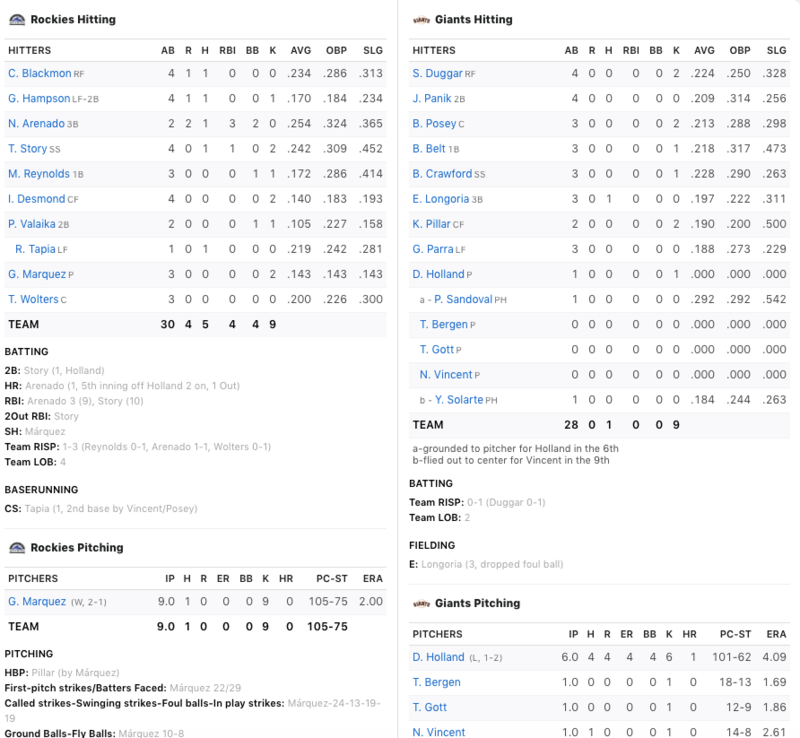 At least the Giants were not no-hit! The Giants fell 4-0 behind a complete game one hit shutout by German Marquez of Colorado. At no point did the Giants appear interested in scoring runs. Maybe the 18-inning marathon on Friday caught up with them. Maybe Marquez was that good. Maybe it was a combination of both. Despite some hard hit balls in the early innings by Joe Panik and other Giants, the Rocky pitcher was perfect through five. It was getting close to the danger zone when Evan Longoria finally broke through with a single at some point between my first and second martini. I wasn’t really paying attention to the innings by then. Derek Holland gave up a mammoth three-run home run to guess who? Nolan Giant-Killer Arenado. It is hard to believe but that was the Rockies third baseman’s first dinger of the season. The Giants caught this team at the right time, winning three of four in the series. Holland was behind the count on most hitters. Through three innings he had already thrown sixty-three pitches, many of which should have ended up halfway to Berkeley. Speaking of meatballs, the pitch Holland threw to Arenado was not much more than a batting practice hit me fastball belt high right down Market Street. The Giant starter got away with a few of those in earlier innings but not this time. The game was pretty much over after that blast. The rest was simply melodrama. The Giants are off today. Let’s analyze the first homestand of the year: The team went 5-5. Nobody except for Kevin PIllar hit a lick and every starting pitcher except Holland yesterday, pitched very well, earning a quality start or better. The Giants did play mostly tremendous defense. 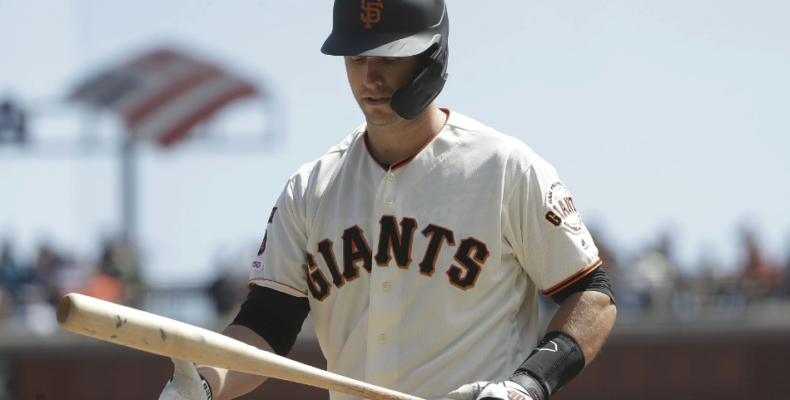 If they are to score runs Posey, Crawford and Longoria will have to start producing and the team will have to start learning situational hitting, advancing on fly balls, bunts, stealing bases, and so forth. All of those aspects of small ball run counter to Bruce Bochy’s (and my) style of play but sometimes you have to adapt to the identity (and weaknesses) of your team to win.